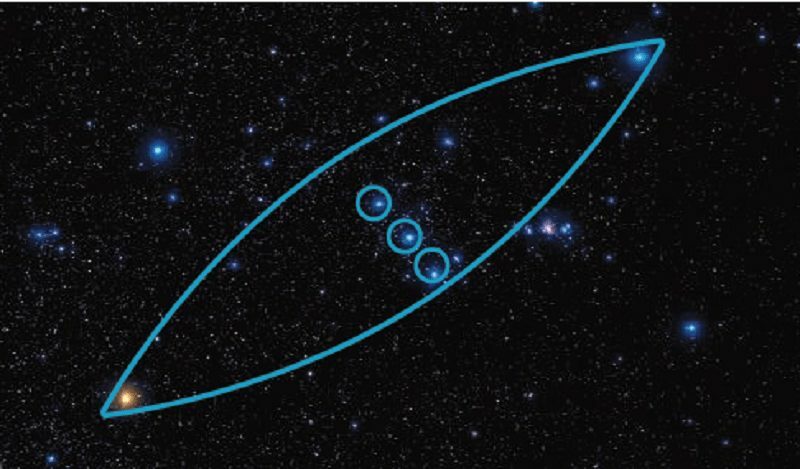 The constellation of Orion is known in Greek mythology as the Hunter, with a belt of three stars, chasing the Seven Sisters with dishonourable intentions. To the Yolngu people of Australia, he is called Djulpan, and the three stars are three brothers in a canoe, who were placed in the sky as punishment for eating a taboo fish. Each Aboriginal language group has a different story about Orion, and yet there is a remarkable underlying thread. Nearly every group associates it with a man or a group of young men, often hunting or fishing, and they are often chasing the Seven Sisters. How is it that the Aboriginal stories are so similar to the European stories, given that the Aboriginal tales are very old, and there was no contact between Europe and Australia until the 18th century? Perhaps these stories are really old, dating to when humans left Africa to migrate to Australia, Europe, and everywhere else. Most civilisations around the world have similar stories about Orion and the Seven Sisters. And most of them, including most Aboriginal groups, call them the Seven Sisters, even though none of us can see seven stars. Depending on your eyesight, you may see four or six, but not seven. Some Aboriginal groups even have a story to explain why you can’t see one of the sisters (she died, or was taken by Orion). It is planned to compare stories around the world, to see if we can sequence how the story travelled our planet. Some stargazers see a canoe, others, a hunter’s belt – what do you see? Can Lightning Trigger Life on Extraterrestrial Planets? I don`t see a thing. Only time I see stars,is when I get a head knock!